The fine folks at Capcom Unity have released new artwork of Street Fighter III: Third Strike Online Edition by Stan Lau. 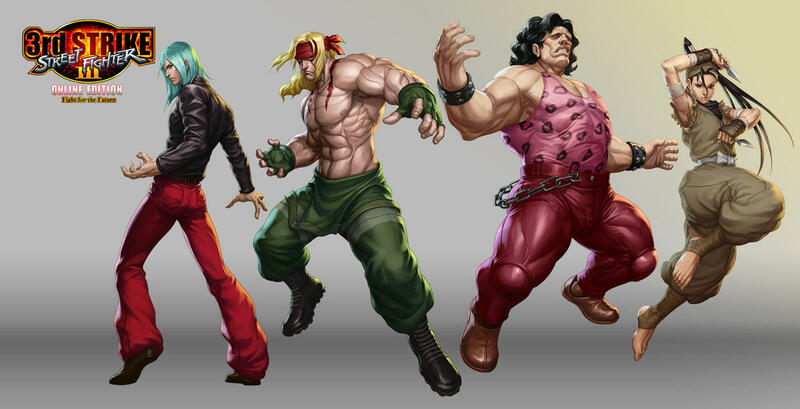 Lau's latest work includes Ibuki, Hugo, Remy and Alex. The cover art for Third Strike features Lau's work as well and was seen at E3. For more of his artwork, click here. See Lau's Street Fighter III: Third Strike Online Edition artwork after the jump. Mortal Kombat: Skarlet banned at Evo 2011? It Came From Nintendo: Super Smash Bros.